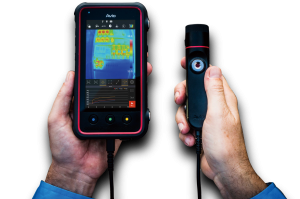 With a wide -20°C to 350°C temperature range, 240 x 240 image resolution and either 35 x 35° or 70 x 70° FOV, the FLEX F50 is ideal for all inspection and research applications. Colour Pallet Olive, Rainbow, Brightness, Hot-White, Hot-Black, etc. 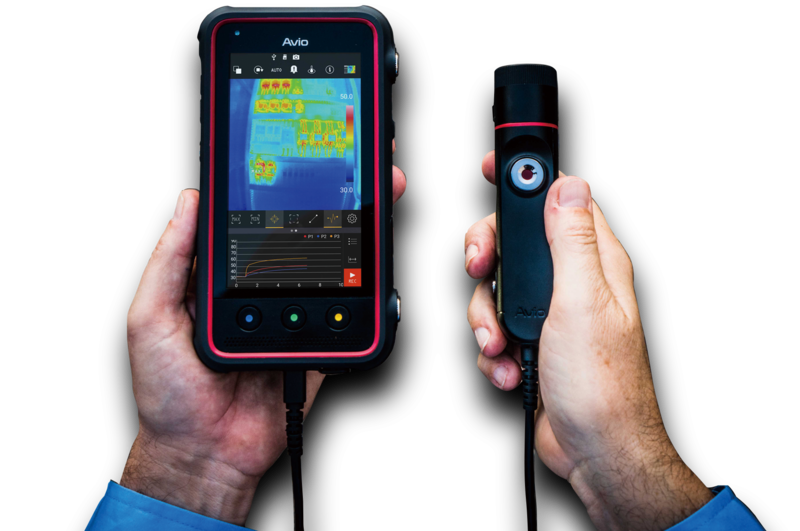 Text Annotation: up to 128 characters per thermal image. Characters imported from MicroSD card. See specification sheet for full details. Specifications subject to change without notice. 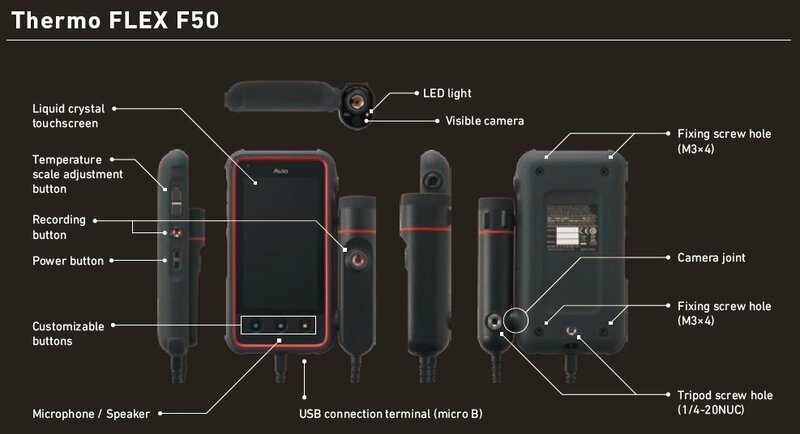 AVIO's F50B Online Thermal Imaging Camera with removable camera unit and touch screen display for free style and easy operation.